Color tones for all Assorted Colors of Carnations may vary due to the computer monitor and/or Mother Nature. 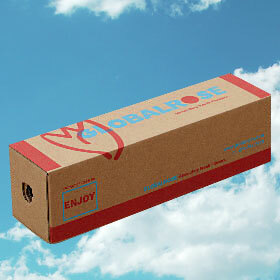 Need Flowers For Next Day Delivery? 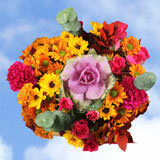 We've got a wide variety of gorgeous blooms to choose from. 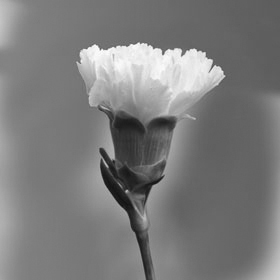 • Diameter when bloomed: 1.5" - 2.3"
When the need for fresh cut flowers is immediate, Globalrose.com delivers Flowers for Next Day Delivery 400 Assorted Carnations in a snap! 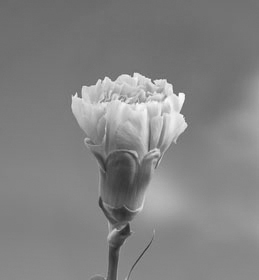 We'll be the answer to your prayers when we ship fresh cut carnations directly from our greenhouses to the location of your choice with next day delivery! 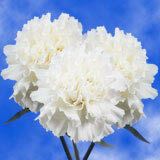 Add beauty to the memorial for a loved one with our Flowers for Next Day Delivery 100 Assorted Carnations. Add the striking and eye-catching blooms to baskets or urns and create a tranquil and loving setting for family and friends to gather. 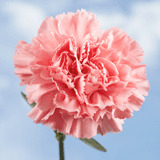 Or, if you need a quick centerpiece for your luncheon, Globalrose.com's Flowers for Next Day Delivery 100 Assorted Carnations provides the perfect beauties for your glass vases or bowls! 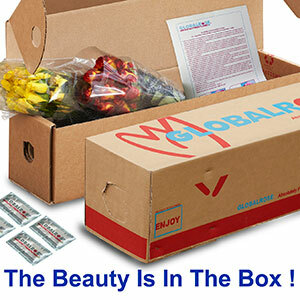 Or when the newest member of your family finally arrives, thrill the new mom and baby upon their arrival home with Globalrose.com's Flowers for Next Day Delivery 100 Assorted Carnations. What a delightful way to send your love and congratulations! 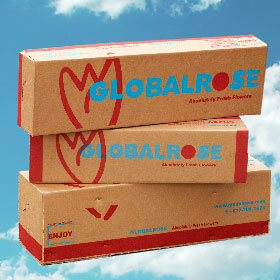 Globalrose.com delivers your blooms with their absolute fresh guarantee. 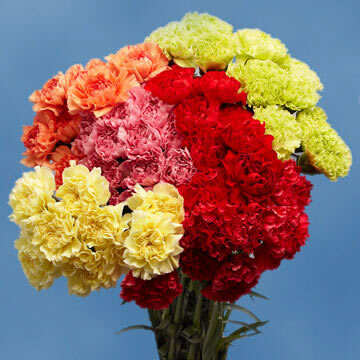 Your Flowers for Next Day Delivery 100 Assorted Carnations will be cut fresh at your greenhouses and delivered to the location of your choice the very next day! With each bloom inspected for perfection, we guarantee you'll be a return customer for years to come and so will your family and friends! 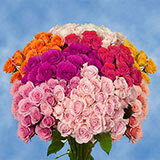 We have been purchasing our roses and carnations from Globalrose now for over a year now. 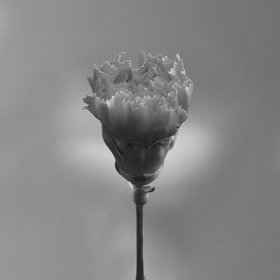 We have found the flowers to be far superior to the ones that we were receiving from our other sources. We have had numerous customers call us to say that their Roses have lasted much longer than any other roses they had received in the past. 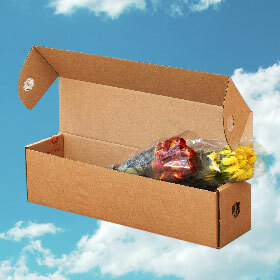 We have virtually eliminated all customer complaints that their flowers did not last long enough. 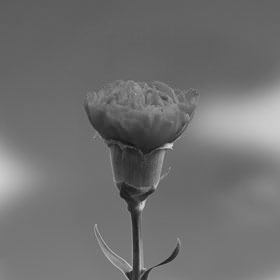 This applies to roses as well as carnations. Overall, really good experience. 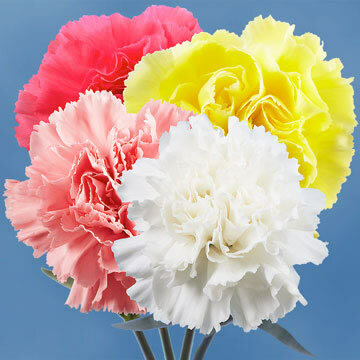 I ordered assorted carnations - received red, pink, white, and reddish-tipped carnations. They were of high quality. 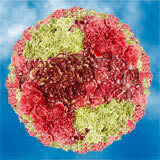 However, I was hoping for more than 4 different colors and a variety of pastel-colored carnations. 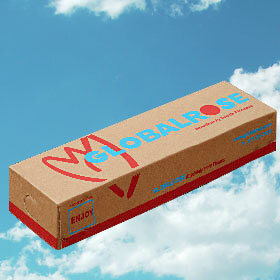 I love the ruscus filler; again high quality.